McALLEN — The Reynosa man whose gun went off during a trip to the grocery store earlier this year will serve more than two years in federal prison, court records show. U.S. District Judge Micaela Alvarez sentenced Daniel Meza-Lopez to a 30-month prison sentence Tuesday in connection with a January incident inside a Pharr H-E-B grocery store. One woman sustained a gunshot wound in the incident. Meza-Lopez, who was living in Pharr at the time of the incident and pleaded guilty to one count of importing, manufacturing firearms in early May, was not ordered to serve additional court supervised release because he is likely to be deported upon completion of his prison term. 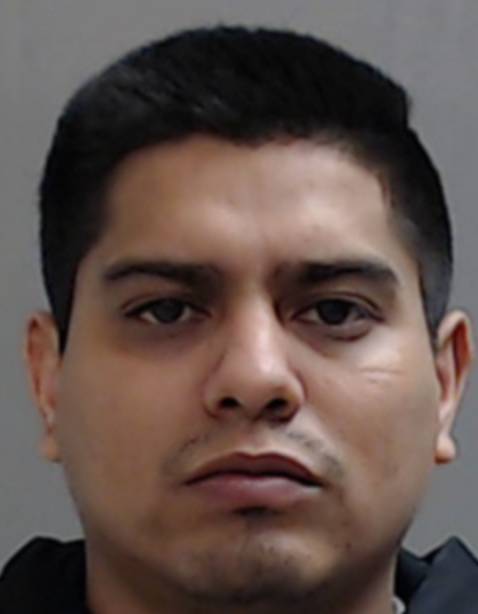 He was named as a suspect in the Jan. 10 incident inside the H-E-B store, located in the 1300 block of South Cage Boulevard in Pharr, when a handbag containing a handgun discharged, striking a woman who was near Meza-Lopez. The woman, 22-year-old Sandra Gonzalez, was shopping in the store near the produce section when she was struck by a single round. Other shoppers are shown in the footage approaching Gonzalez, while Meza-Lopez can be seen picking up the bag and leaving the area. Pharr police officers later retrieved the handgun, a Davis Industries .38 Special (two-shot) model, in a “cold beverage container,” inside the store. The defendant said that he was going to turn himself in but officers with the Pharr Police Department ar-rested him before he could, the complaint states. He claimed ownership of the black handbag but initially stated the gun was not his. Meza-Lopez, who has been in custody since March, does not have legal status to be in the country and was deported in December 2014 on an unrelated gun charge, court records show.